Over the past two decades the Australian energy market has undergone major transformation as technology and policy have shaped the 21st Century electricity network. The changes have unfortunately not been accompanied by either the same pace of regulatory reform, system planning or policy stability to drive directed or appropriate levels of investment to create the energy infrastructure that Australia requires. Our energy generation mix is steadily changing and as the cost of wind and solar power continue to drop below that of traditional thermal generation, we can be certain that the majority of the new generation coming online over the next decade, will be lower cost and intermittent. Under the final stages of the Renewable Energy Target (RET) we are seeing a direct correlation between wholesale energy prices falling in parallel with new wind and solar generation coming online. This trend will continue over the coming decade as fuel-based generation systems are unable to achieve the same levels of efficiency as renewables. With an estimated 7GW+ of new wind and solar under construction, forecasters are predicting the wholesale electricity prices to halve over the next four years. Grids struggle to maintain reliability during periods of high fluctuation of output or high demand leading to greater need of energy storage or demand management interventions. Wholesale energy costs represent approximately 20-30% of a standard energy bill and the growth in low cost renewables will increasingly place downward pressure on power prices. To achieve these cost reductions, the future grid needs to increase storage investment to enable intermittent low-cost power to be dispatched efficiently and effectively. We need to have a structured plan to build the backbone of the new network – one that enables low cost energy to be stored and moved around our grid in an efficient manner. Although often not part of the energy policy discussion, Australia has some of the highest network costs in the world and our grid is still predominantly based on an inefficient 20th Century model. Network costs are approximately 40-60% of a total energy bill. To build a resilient network of the future stronger foresight and market signals are required to support strategic investment in interconnectors, improved demand management and energy storage throughout each layer of the network. Only a network that is responsive, flexible and focussed on efficiency will be able to meet the demands of high renewable penetration. This requires storage at all levels – at grid scale, distribution level, and also behind the meter. Currently, there is no detailed plan for storage and no clear direction as to where storage investment should go in the system exists. Do we invest at generator or grid level? Should we throw it over to energy users to install storage behind the meter? All these choices have major impacts on where investment is directed and result in major costs, and implications, for our future grid. The approach to storage is improving but is still substantially ad hoc. Large scale storage initiatives such as Snowy 2.0 and the more recent announcements by the Victorian Government Renewable Energy Action Plan to fund $25m for grid batteries and $40m allocation for home battery subsidies are all significant leaps in the right direction. However, these are, ultimately, government subsidies in the event of market failure. We must have an evolving robust and considered regulatory, policy or market environment to stimulate and support strategic investment and growth in energy storage. Without this, the infrastructure that needs to be in construction today, to support a low-cost energy future, will not be built. The cost of pumped hydro, batteries, hydrogen and other storage technologies are expensive. So, how can storage reduce energy costs in Australia if additional investment is required to achieve this outcome? 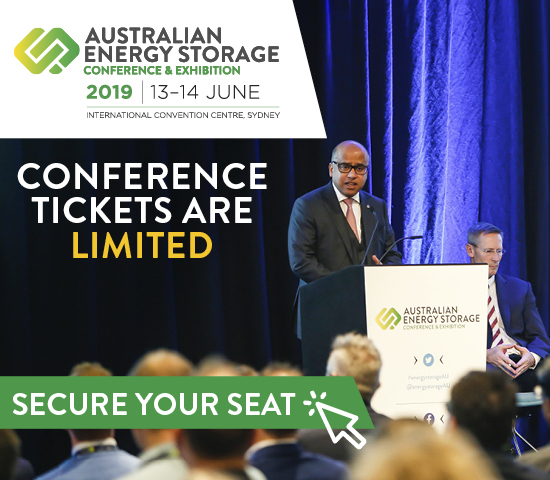 There are four crucial ways that storage, both over short and long-term horizons, will dramatically reduce power costs in Australia in a sustained way. Storage will heavily minimise the volume of power generation required by using the power that is generated in a more efficient way, be it from traditional thermal generation or renewable sources. Electricity is currently generated in highly inefficient ways and is frequently curtailed or wasted. If electricity can be stored throughout the network, we need substantially less of it and this will place dramatic downward pressure on wholesale power prices. Storage plays a major role in reducing peak prices – electricity used at off peak times is typically a quarter of the cost of electricity used at peak times. On a hot day most people will turn their HVAC systems on, causing electricity spot prices to climb through the roof. In prolonged or acute weather events, energy prices can climb from under $100 MWh to over $2000 MWh within an hour. Storage integrated throughout our network plays a major role in radically reducing peak demand pricing and will bring overall costs down substantially for all power users. Storage enables the greater uptake of intermittent, lower cost generation such as wind and solar which, increasingly, will become the primary source of generation in the new grid. If storage is adopted through each level of the grid, this will enable the ability to store and move power around the network. Over time, greater investment in lower cost power sources will reduce energy bills. If applied in a planned way storage will play major role in reducing our energy network costs by reducing system requirements and avoiding significant future network investments. With strategically located storage throughout the grid – transmission and distribution companies need to spend far fewer investment dollars on grid stability, maintenance and servicing the network to achieve reliability and secure power supply. Energy storage has the potential to be the largest driver of cost reductions for the National Electricity Market. The most responsible thing we can do is develop a national framework for creating the right policy and investment signals to encourage investment in storage across the grid. This will not only place significant downward pressure on long term power costs, it will also provide the stability and reliability required to shape the 21st Century energy network that we need. Stephen Thompson is the Energy Business Leader for Arup Australasia who are delivering reform to the Asia Pacific regional energy markets including development of PHES, battery, and hydrogen projects, regulatory and network reforms, and development of microgrid and smart grid systems.